Here’s the tray from our house, you can see two of the figures in ice. My boys are loving it! $7 in-store at Lego.com. 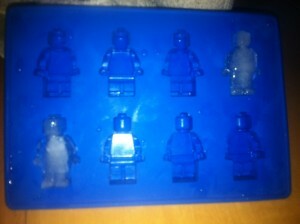 They also make a Lego Brick Ice Cube Tray too. whatever would the world do without legos!!!. . .I think i mentioned some time ago. . . . . a new legoland park opening in Florida in October, 2011.. .yippee!